We’d love your help. Let us know what’s wrong with this preview of Fate Magazine #726 by Phyllis Galde. 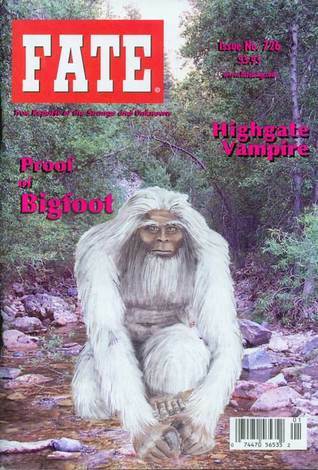 Proof of Bigfoot edition with articles by Kewaunee Lapseritis, Ivan Zemanek, Diana Palm, Brad Steiger, Carl Lewellyn Weshcke, Todd Hendrickson, Justin Novak, Connie Vigil Platt, Barbara Arnstein, D. Scott Rogo, John Keel, Joseph M. Hordyski and Danton Walker. Published December 2014 by Fate Magazine, Inc.
To ask other readers questions about Fate Magazine #726, please sign up. Another fine edition of Fate!